Calling all Sportsmen, Ranchers, Developers, Nature Lovers, Land Bankers, Conservationists, Investors, Land Barons, Families seeking Fun. Enjoy all that Nature has to offer.including the Golden Mother Lode. Only one opportunity to own 5.5 Square Miles of natural treasures in California's Gold Country. Expansive recreational/view ranchlands in the beautiful Sierra foothills this unique ranch comes with braggin' rights - 5.5 square miles of nature. The Wild West meets world-class views. Unparalleled panoramic views across the breadth of California - from the Carson Range in Nevada to Mt. Diablo in the SF Bay Area. California's temperate climate and the ranch's perfect situation above the fog and below the snow line' make this land usable year round. Why fight harsh winter elements elsewhere when this ranch boasts a winning Mediterranean climate A 3460 +/- acre mountain paradise with hunting, hiking, rock climbing, mountain biking, Atv-Ing, horseback riding, raising livestock or exotics and prospecting for gold-all on site. With the natural wonders of Yosemite, world-class rafting rivers and placid lakes for boating, fishing, and waterways for gold-panning all nearby. Multiple Parcel Advantage 15 certified parcels make this a land-banking/development bonanza. California land with an exceptional climate and spectacular views is valuable Analysts say private capital funds and institutional investors are increasingly becoming bigger players in acquiring agricultural real estate, whether hh individuals, pension funds, insurance companies or farmland-focused real estate investment trusts. Farmland is good for the mix in portfolios, said Chris Morris, a manager at LandFund Partners II, a private farmland investment fund. It provides a current yield which is pretty attractive in a world where Treasurys are below 2 percent. Experts say farmland also serves as a hedge of sorts against inflation. In California, some areas have seen farmland more than double in value in the past decade. Buffered For Protection In Perpetuity Adjacent National Forest and BLM lands give buffer protection in perpetuity. Plus potential BLM land lease of 11,000 additional adjoining acres. Run cattle, other livestock or exotics, ride for miles, hunt, hike and enjoy the spectacular scenery. Create your very own world-class trophy ranch with incomparable views and exciting recreation year round. Or commercially develop as a destination Recreation Ranch with sustainable housing and lodging. Location Located 2.5 hrs from the Bay Area and Silicon Valley in Mariposa County. Off the Golden Chain Highway 49, just south of the historic mining town of Coulterville, where John Muir and President Teddy Roosevelt were entertained the ranch overlooks National Forest, BLM land, and the San Joaquin Valley. America's most beautiful National Park, Yosemite, with the iconic Half Dome and El Capitan, is within view from multiple areas of the ranch. Getting There With direct access to the Golden Chain Highway 49, Sacramento, Fresno, San Jose and San Francisco are all within easy driving, with the San Francisco Bay Area only a couple hours away. Being between Pine Mountain Lake Airport and Mariposa County Airport makes it an easy air commute as well. ELEVATION, Exposure, Water, and Livestock The elevation of between 2,250 and 3,800 feet is below the snow line and above the fog, with a favorable southern slope exposure enhancing the temperate Mediterranean climate for which California is famous. Learn more about the area Weather. Close to the headwaters of San Francisco's celebrated Hetch-Hetchy water system, this ranch features natural springs and ponds, with good water year round, views of Yosemite's Yosemite National Park Half Dome and El Capitan, and it is fenced and cross-fenced for livestock. The ranch has historically run between 100 and 250 head of cattle. Zoning & Blm Leasing The 3,460 acres consists of 15 deeded parcels many zoned Mountain Preserve, with others zoned for agriculture allowing reduced taxes under the Williamson Act. BLM leasing is another potential benefit of this property. Literally A Golden Opportunity The Central Sierra foothills have a long history of gold mining, dating back to the great California gold rush. Yosemite View Ranch lies in the richest of gold areas-the Mother Lode Gold Belt-and includes a patented mine claim The Southern Cross Lode. There are ancient remains of the old gold mining camp known as Cat Town from the 1880'S era - Cat Town History. Gold is still found in the area with nugget-shooting, gold-panning and prospecting still very much a local reality. Summary Build your dream home, personal trophy ranch or exciting development on this incredible view ranch with springs and ponds supplying year-round water. Hunting, horseback riding, raising livestock or exotics, and mining for gold as the early settlers of the 1800'S did are just a few activities this ranch offers. Make your California Dreamin' come true with Yosemite View Ranch. Have a look at this interactive MAP to get a better feel for the property. 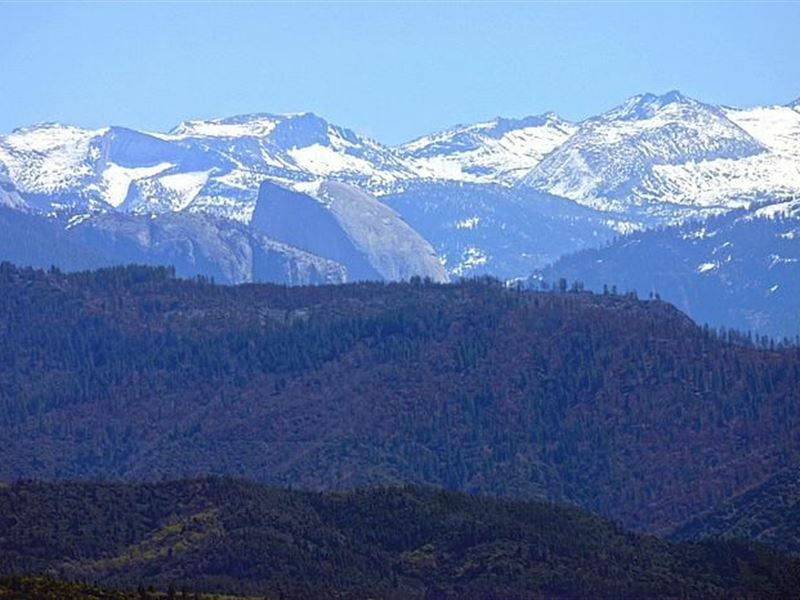 Pricing The 3460 +/- acres of Yosemite View Ranch is offered in its entirety look forward to sharing this ranch with those looking to develop and escape to some of nature's most beautiful land.